You are invited to the first event for the Advisor Social Series at the PHS Pop-Up Garden! The New Advisor Subcommittee would like to invite you to the first Advisor Social Series event! We hope you will join us for this fun opportunity to get to know each other outside of the office. 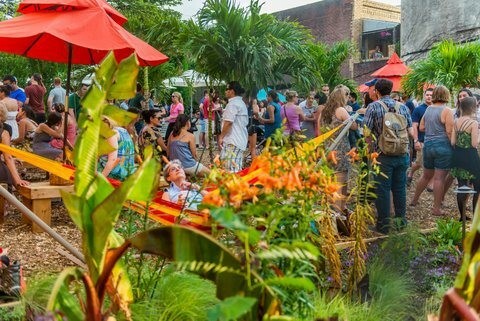 Come check out the Pennsylvania Horticultural Society's Pop-Up Garden on South Street before it closes for the summer (weather permitting). It's just a ride down the Broad Street Line. We will be meeting at the Broad Street Subway entrance in front of the Barnes and Noble and leaving at 5:15 if you want to go with the group. All Temple advising professionals are welcome!